Something about running here brings a smile to my face. Okay, this sense of being is not specifically linked to running, but certainly helps me endure long distances in the high temperatures and even higher humidity. With no plans to run this year's Maui Marathon, I have no real pressure on me to run long. My next scheduled marathon is not until October. Instead, curiosity drives me to attempt another run to the northern tip of the island. I have yet to see it in person, but came close during a ten miler last year...so I am understandably interested in pushing beyond that. Besides, thanks to the Revlon Run/Walk, I have not done a 10+ mile run in over a week, so such a run is overdue. Unlike last year, I have made no attempts to acclimate to the warm weather leading up to this trip. 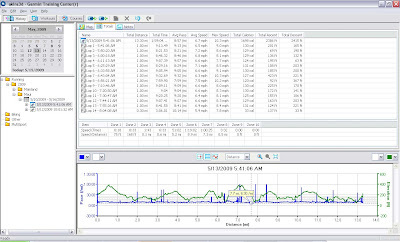 If anything, I have been adjusting my schedule to run when it has been cool. So I decide to head outside before sunrise. 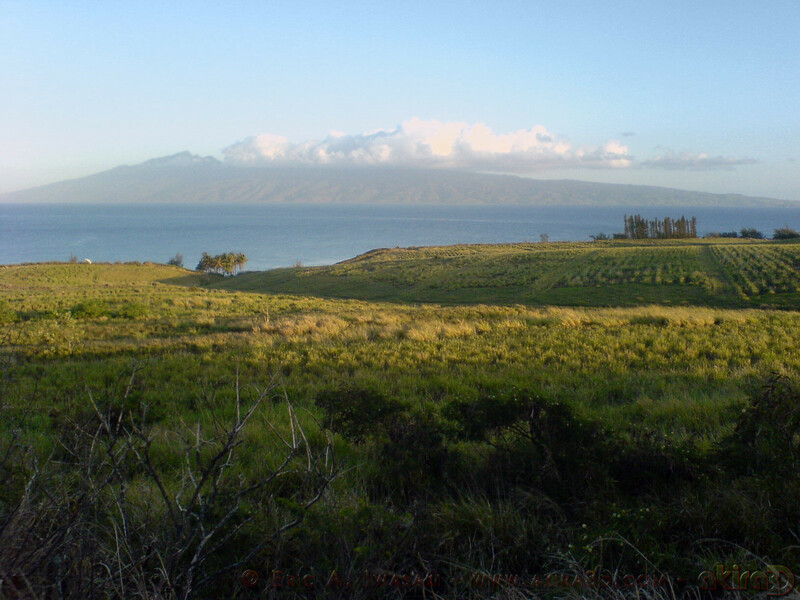 Only problem is that I did not realize how early the sun comes up in Maui this time of the year. I start my run just after 5:45am and the sky is already quite bright. The sun is already hitting clouds over island neighbor Molokai when it first comes into view as I continue north and east along the highway. I reach last year's turn around spot. 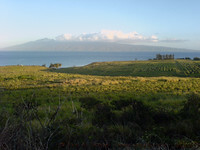 From here, the highway winds its way around Honokohau Bay as it descends towards sea level. I previously decided against pushing past this point because, with the marathon less than a week away, I did not actually need to run as far as I already had, nor did I really want another ascent in my workout. I have no such limitations today. 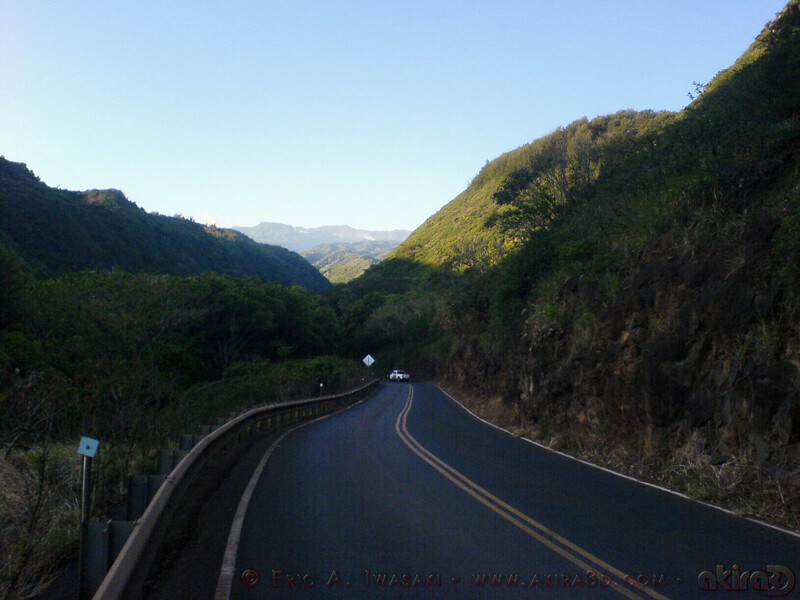 Shortly after starting down the hill, I am treated to a spectacular view of the West Maui Mountains. 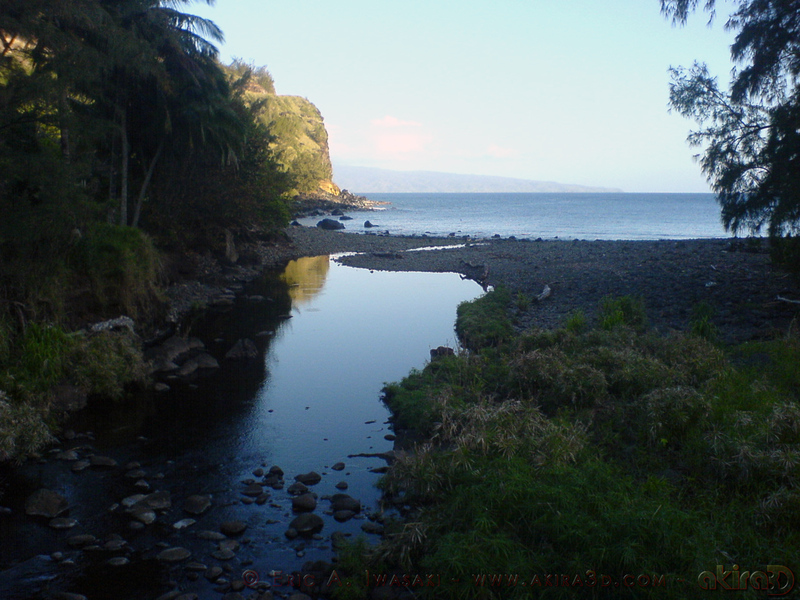 At the bottom, I cross a bridge over Honokohau Stream, another a picturesque setting. As I continue, the road begins a quick ascent, at least as steep as the stretch of road I run I must run to leave or return to my house. Halfway up the hill, I briefly consider turning back, but I remind myself that I may not always have such opportunities (or be in as good physical condition) to attempt such a run in the future. I continue up, stepping into the sunlight just as my watch indicates I have reached seven miles in just over one hour and two minutes. The sun has been up for nearly 45 minutes, but I have been fortunate that the road has, for hte most part, stayed within shadow until now. The road continues to the right and starts to crest. 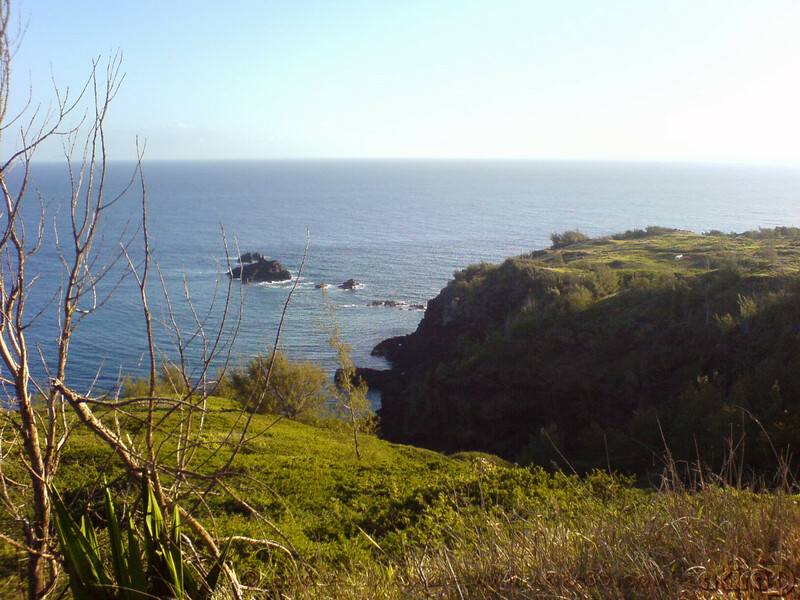 As I come to an opening, I see a point that looks like the northern tip of Maui. Figuring I have reached as far north as I can go on the pavement, I decide to turn back. I do not want to be out here much longer for fear the temperature will soon rise to uncomfortable levels. I start feeling the heat around mile 10. I can tell my pace is starting to fade. There is only one shortcut back to the hotel via DT Flemming Beach, but it only reduces the return trip by a mile. 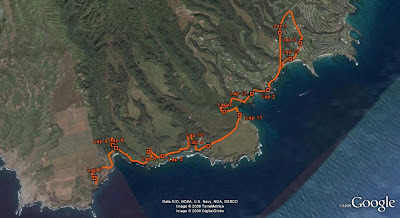 I reach Honolua Bay around mile 11. Soon there will be no shade for the rest of the run. The temperature has probably risen into the 80's. I am dripping sweat, have almost emptied my water bottle, and will soon consume my last Shot Blok. I reach the Waihua Spa in just under two hours. My watch logged 13.3 miles. Not a bad time in this heat, especially because I was not at all trying to maintain a decent half marathon pace (a way better time than I ran my first Palos Verdes Half Marathon, which was also in hot weather). My thoughts immediately turn to breakfast...Gazebo here I come!